Duncan Charman shares some essential tench fishing tips to help you catch big specimens this spring and summer. 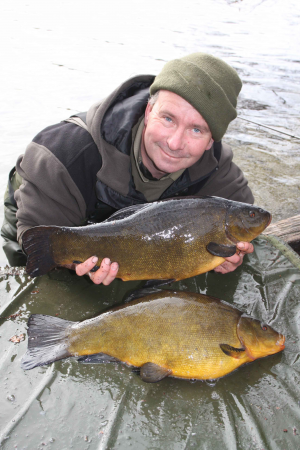 A brace of big tench like these will be welcome. 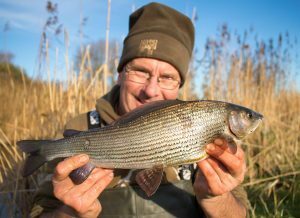 Angler’s Mail contributor Duncan Charman shares many grayling fishing tips with you in this special article. ANGLER’S MAIL columnist Dr Ian Welch explains what those bubbles really are that appear when you’re out fishing. Understand fish bubbles and you’ll catch more fish. EVER wondered what the colour red really means for fish? Dr Stuart Clough explains here. If you’re looking to improve your fishing catches over the summer weeks ahead, read on…. When rivers are low and clear, fishing can be difficult, but it is still possible to catch and you can improve your chances in a number of ways. 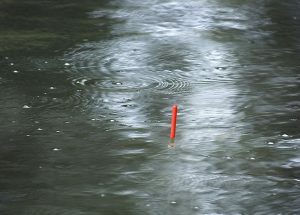 Roving while keeping concealed and fishing for one fish at a time is one option, and this allows you to cover lots of ground and target fish that are not buried deep in cover, and have their guard down, relatively speaking. The target fish are often not actively searching for food, but they are alert, and will opportunistically take relatively large food items if you can present them in a natural way. This form of fishing can be very rewarding, but also very frustrating, because if the fish becomes aware of you, either by sight or through vibration, you will have lost your chance. If you do manage to get into position to present a suitable bait, for example a freelined slug or breadflake for chub, or a lobworm or piece of meat for barbel, takes can be instantaneous, followed by memorable and sometimes hairy close-range scraps. The main rules of engagement are to keep low on the horizon, approach from downstream and present the bait as naturally as you can, and if you spook the fish, move on to another swim, but keep a mental note of the spot, as the fish will often be back in the same position when you return. Angler’s Mail magazine offers these top mackerel fishing tips and advice for the hot summer months to help you catch more using simple tackle. 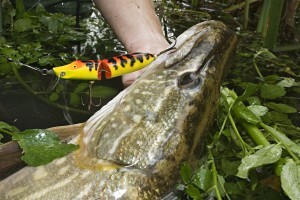 BARBEL care after capture is particularly important in summer conditions. 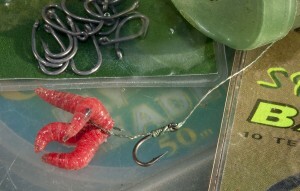 The end result, as seen in the image above is some premium barbel. You may catch different types of barbel with the three different techniques shown. The Pike Anglers Club’s Alan Dudhill talks lure fishing with top tips, ideal for your summer and early autumn sessions as long as it stays mild. BASS are highly prized for their fighting prowess and superior taste, and are found right around the British Isles. 8. Legal limits are sensibly enforced, to help conserve our fragile bass stocks, as commercial fishing has hammered European bass numbers. The current limit stands at 16 in. (41 cm) measured from the tip of the snout to the end of the tail fin, with any fish under that length being released immediately. The current UK shore-caught bass record stands at a mighty 19 lb, but many considerate bass anglers release very big specimens, as these bigger fish are of crucial breeding age. Bass are slow-growing and long-lived fish (a 10 lb specimen could be 20 or even 30 years old). They take six or seven years to reach sexual maturity, and are generally in excess of 40 cm long at that stage.